Tomas Berdych is a professional tennis player from the Czech Republic. He has a huge game with lots of firepower and as of November 2011 he is ranked number 7 in the world! Berdych Hitting One Of His Typical Forehand Winners! Tomas Berdych has huge potential and many experts expected him to be a consistent Grand Slam contender. Unfortunately for him that hasn’t really happened yet, probably because he is mentally weaker than the world’s top players! Berdych was born in 1985 in the Czech Republic. He had a successful junior career and reached a career high of number 6 in the ITF World Junior Rankings. As a professional he has had a lot of success already as well. The highlight of his career so far was most likely reaching the 2010 Wimbledon finals. That same year he also got to the semifinals of the French Open and reached his career high ranking of number 6 in the world. So far Tomas Berdych has won 6 career titles on the ATP Tour, including one title at the masters event in Paris in 2005! Berdych is one of the best ball strikers in the game. He can hit incredible winners from anywhere on the court! Tomas Berdych has a great forehand. He can hit the ball incredibly hard, he can hit it with a lot of spin and he can really flatten the shot out for winners! The capability to hit with either heavy spin or rather flat is what makes this shot special compared to many other professional players! Berdych Practicing His Huge Forehand! Berdych uses a rather conservative grip on this shot, which makes it easier for him to really penetrate the court and flatten the shot out. This grip is also beneficial when returning serve! Overall his swing has a nice high to low to high shape to it and he makes great use of the kinetic chain. As a result he can hit winners with this forehand from anywhere on the court! Tomas Berdych also hits a very good two-handed backhand. He hits the ball clean and can hit plenty of winners with this shot! He has good grips and a very clean swing path. There is no unnecessary movement with the racket, which makes the shot very efficient and reliable! Check Out This Clean Two-Handed Backhand In Slow Motion! Tomas Berdych has a solid net game. 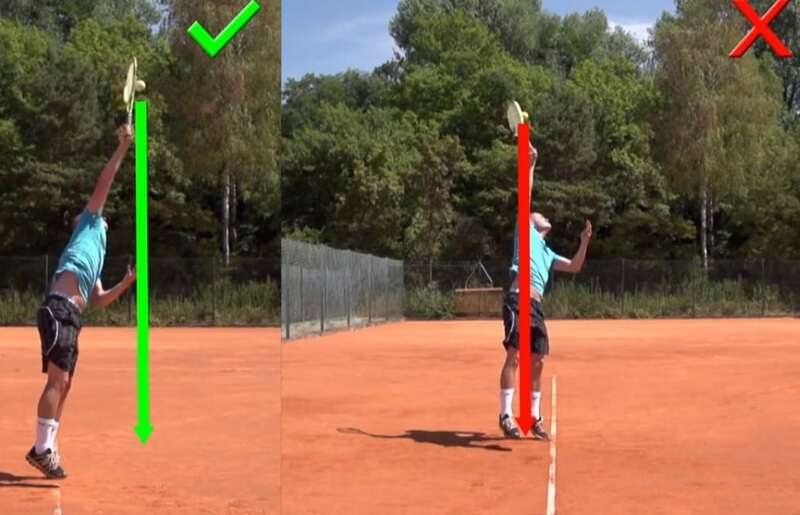 He has stability on his forehand and backhand volleys, which allows him to really stick those volleys. With his aggressive style of play I believe he should come to the net more often and not only come forward to finish off points for easy volleys! Additionally, I believe that adding some surprise serve and volley would make him even more dangerous! Berdych is 6 feet 5 inches, or 196 centimeters tall! This is of course a big advantage when serving and he does have a very big serve! He has a rather high toss, which is not problematic in this case though because he times it very well with the rest of his motion. His arm action is very fluid, which is the primary key to a great serve! The Berdych Serve – A Very Fluid Motion! He could probably improve his serve even more if he would turn his shoulders away from the target more at the beginning of his motion! This would create a better separation angle between his hips and his shoulders and probably add even more power to his serve! Berdych’s game is built around hitting really big serves, forehands, and backhands. He is at his best when he dictates points right from the start! This offensive game plan makes a lot of sense for him. In addition to playing so aggressive form the baseline, I believe adding some surprise serve and volley plays, as well as following more of his powerful groundstrokes to the net, would make him even more dangerous and successful! Berdych is a phenomenal athlete and even at his height he can move well around the court. This seems to be the new trend in men’s professional tennis: Players that are tall, have big serves and forehands, and can still move well around the court! Tomas Berdych is quite muscular for a guy of his size. He has very strong legs and overall tremendous amounts of power, which is what makes him so dangerous on any given day! Overall Berdych is a superb athlete! The mental side of the game is Berdych’s weakness! In fact he is known to struggle in big matches and his mental weakness is certainly holding him back from becoming a regular championship contender in the Grand Slams! Actually just the day before writing this article, I watched him loose a match to Novak Djokovic in the 2011 World Tour Finals that he never should have lost. Novak wasn’t at his best and Berdych had plenty of chances to win the match, including a match point. Unfortunately for him he got really tight and wasn’t able to pull out the victory. Tomas Berdych is very strong physically and technically, his tactical game is allright, but his mental game is really weak! Tomas Berdych needs to get tougher mentally and make some slight tactical adjustments to his game! It is always tough to say what a player should do when he is struggling with the mental aspect of the game. In order to give a concrete answer you need to know the player really well and I don’t have enough information to say what exactly causes Berdych’s mental weakness. Possibly hiring a mental coach in addition to his tennis coach could help. 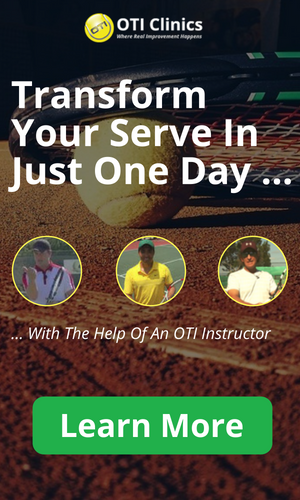 Sometimes a good tennis coach can do the job himself but first and foremost Tomas needs to be willing to work on it and take some action! From a tactical standpoint, I think Berdych would benefit tremendously by adding in some surprise serve and volley plays and generally coming in to the net more often! So that was it for the Tomas Berdych Biography and the analysis of his game!